Congratulations Wine and Cheese Winners! We had a lot of winners at the 2012 San Diego County Fair Homemade Wine and Homemade Cheese contests! Congratulations to everyone! Check out the list of award-winning wine kits on our website. Now is the time to start making your wines for next year's contests -- contact us today to make an appointment, we can help you pick out the best wines to win a Gold Medal. In the spirit of celebrations, we have a very special Sparkling Wine Disgorging demonstration this month, see details below. Start your sparkling wine kits now to be ready for holiday celebrations! SPECIAL NOTE: We will be CLOSED on Wednesday July 4th. Have a safe and happy Independence Day! Looking for a great white wine for summer? How about a Gold Medal Winning Gruner Veltliner from Cellar Craft! 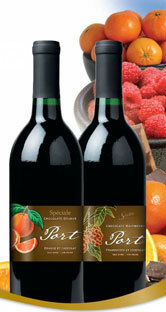 We recently won a Gold Medal for this wine kit at the 2012 Winemaker Magazine International Amateur Wine competition. This is the largest amateur competition in the world, over 4000 wines were submitted for judging. Sommeliers have adopted this “new” wine as the first recommendation to customers who are looking for the alternative to Chardonnay. The Austrian Gruner Veltliner wine kit will take about 6 weeks from start to bottle, and is drinkable within a month after bottling. Like Chardonnay, it is a full-bodied, fruit-driven wine with a big creamy texture. Additionally, GruVe is never heavily oaked and, as a member of the Traminer cépage, has an enticing spiciness that makes it perhaps the most versatile food wine in the world. The wine has a green–yellow hue with complex aromatics reminiscent of apple, pear, grapefruit, honeydew, honeysuckle, banana, and peach. The flavors echo the melon, apple, citrus and peach aromas. The medium-bodied wine shows just a hint of sweetness to balance the natural acidity, though the winemaker can adjust the amount of sweetness added back to taste. The finish lingers pleasantly. Pair with spicy Asian dishes. Don’t over-chill. This wine kit is $149.95 at Curds and Wine and makes 28-30 finished bottles of wine. Contact us today to reserve your Gruner Veltliner wine kit and make an appointment to start it at Curds and Wine! Have you ever wondered how those bubbles get in your sparkling wine? Join us at Curds and Wine for a very special winemaking demonstration, led by the 2012 Best of Division winners of the San Diego County Fair for their sparkling wine made from a kit. We will talk about how sparkling wines are made, then show you one of the most dramatic processes in this winemaking -- disgorging the sediment from the riddled wine. If you would like to make your own sparkling wine, we have a special package for July: purchase a sparkling wine kit and a riddling rack and get 10% off of both! You can even make your sparkling wine on site at Curds and Wine, contact us for an appointment. This is a free event! Please RSVP for this event here. Winexpert is releasing two very special limited edition ports, just in time for the holidays! These limited edition wine kits are available for pre-order only, so contact us today to reserve yours! Each kit is $116.95 at Curds and Wine, and will be available in September. Pre-orders must be placed by Friday August 3rd. Pre-orders for these ports are for in-store pick-up only at this time! Remember to place your pre-order by Friday August 3rd! We will help you get some fresh grapes for your home winemaking this harvest season. We will be a pick-up point for fresh grapes from West Coast Grapes, please sign up on their website for their email to get a list of grape varietal availability and pricing. Grapes will be purchased directly through West Coast Grapes, we will be a pick-up point only, no sales on site for these grapes! We will not store these grapes, they will start spontaneously fermenting if you do not pick them up the day they arrive. 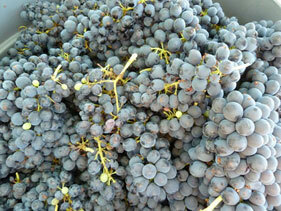 You will be notified by West Coast Grapes when the delivery is expected, last year they arrived in October. We will have a crusher/destemmer available to run these grapes through for a $25 processing fee for up to 500 lbs, another $10 fee for every additional 500 lbs. We will also of course have all of your harvest supplies available a well as equipment rentals, such as must pumps and presses. Please note: only grapes delivered from West Coast Grapes can be processed on site at Curds and Wine, all other processing must be done off site and equipment returned clean and in working order. We do not offer any winemaking on site with fresh grapes except our Hands-on Harvest course. This course is sold out for 2012, but if you are interested in getting on the waiting list for next year please contact us. We will be in touch when the list is full to take deposits to hold your spot in the course; this year the course sold out in February. Harvest season typically begins as early as August and can go as late as November some years; the grapes are ready when they are ready, and you need to be prepared to get them when they arrive. This book is our go-to guide for any problems or questions that pop up during harvest season. A comprehensive compilation the most common questions for the "Wine Wizard" of Winemaker Magazine, this book offers advice for both the novice and the advanced home winemaker. Covering nearly every situation a winemaker could come up with, this 384-page paperback guide is the perfect reference for any home vintner. Fully indexed and organized by themes, find the answers to your questions and fixes to your problems fast. 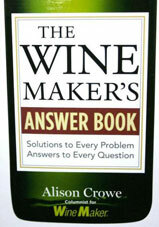 Get The Wine Maker's Answer Book at Curds and Wine today to be prepared for harvest season when it arrives! Preorders must be placed by Sunday, August 26th so that we can get the barrels in stock for harvest season. 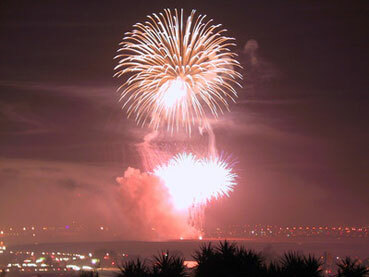 Have a very happy and safe July 4th Holiday!